Home / Get Social – and win money for college! 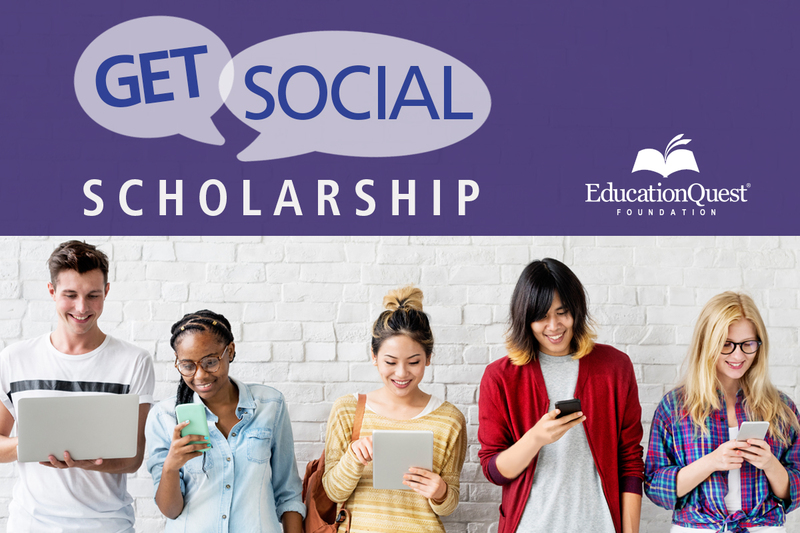 Follow EducationQuest on Facebook, Twitter, and Instagram and you’ll get more than important college planning information…you might win a $500 Get Social Scholarship! EducationQuest will continue to award $500 Get Social Scholarships each time we reach an additional 250 followers on Facebook, Twitter or Instagram. We will announce on social media when a milestone is reached and will provide a link to a scholarship entry form. You will have 72 hours to submit the form. This promotion is not sponsored, endorsed or administered by or associated with Facebook, Twitter or Instagram. Entrants are eligible to win only one EducationQuest scholarship. EducationQuest will deposit the $500 scholarship into the winner’s NEST 529 College Savings Plan account. If you win, and do not have a NEST account, you will need to set one up. Click here for a complete list of eligibility requirements. Tell your friends to follow us as that will get us closer to a drawing – and watch for a Get Social Scholarship announcement on social media!